Lack of funding. Webinars, trainings, and conferences can be expensive and libraries vary in the amount of financial support they can provide. Lack of time. With many librarians working solo in youth services, there simply isn’t enough time to sit down and read a resource or watch a training. Difficulty Identifying the Need. It is no secret that librarians are jacks of all trades. Many of us have taught ourselves how to do storytime or run a slime program. It can be tempting to believe that librarians don’t really need training since they are so good at figuring things out on their own! 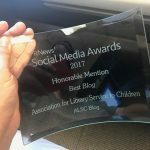 As pointed out by Lindsey Krabbenhoft (co-founder of Jbrary) in her post, “Where Have All the Bloggers Gone?” Children’s Librarians rely heavily on peer-sharing but this avenue seems to be dwindling, at least in the form of blogs. Relevant information can feel scattered and hard to organize. There is also is a need to acknowledge the difficult reality that relying exclusively on peer sharing often times means relying on the good will and free labor of librarians. While librarians tend to enthusiastically share their work, the structural gaps are still present. We began The Cardigan Newsletter in November 2018 because we were looking for more avenues to be connected to other Children’s Librarians and to reinvent the peer-sharing model. We wanted to learn from our peers and to share what we have learned. Our motto is: “It takes a neighborhood to nourish a Children’s Librarian,” because we recognize that we need each other to be happy, healthy, and effective librarians. While we know that The Cardigan Newsletter does not fully fill the gap for free, accessible professional development resources, we wanted to address the barriers to professional development listed above (lack of funding, lack of time, and identifying the need). The Cardigan Newsletter lands in inboxes once a month and includes links to free webinars and other free professional development resources, presents bite-sized information related to the profession, and asks to hear from our “neighbors” to share and celebrate what they are doing. Each newsletter is turned into a PDF and is accessible through a Google Drive folder. We hope to collect the best tools available to help us excel at our jobs. Throughout the month, we share our projects as well as those of our followers on Instagram (@thecardigannewsletter). Continue to advocate for relevant, skill-based training in graduate programs. In summary, our jobs are changing and so must the pipelines that train us and and sustain our professional development. In the meantime, we can learn so much from each other’s programs, knowledge in reader’s advisory, and expertise in child development. 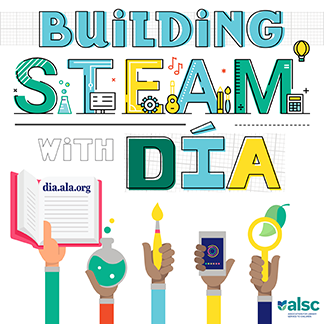 So please, children’s librarians, ask to write an ALSC Blog post. Share with The Cardigan your successes. Tell your coworkers what you’re learning – we are all better because of it! What are your favorite professional development resources? What barriers have you faced? What has been the most valuable in your professional development? 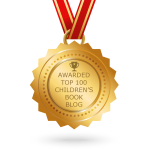 Today’s guest bloggers are Allie Barton & Katherine Hickey. 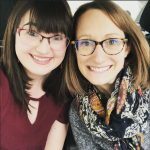 Both Allie and Katherine are Children’s Librarians in Oklahoma and co-founded The Cardigan Newsletter together. This blog post relates to ALSC Core Competency of Professionalism and Professional Development. I’ve been monitoring the discussion on social media regarding librarians taking on the role of early childhood educators. As someone with dual advanced degrees in LIS and ECE, I’m interested in this topic. Early Childhood Education is a discipline that is very far advanced. There exists much research on brain development, play-based learning, whole child learning, and a plethora of other topics related to how very young children gather and process information. There are also professionals in this field who continue to teach, study, and develop, and use best practices in a continuous improvement loop. It’s a highly sophisticated, if under-appreciated field. Individuals conducting programming in public libraries whose primary audience is young children are serving as educators, whether recognized or not. There are many differences in the two professions but perhaps the most noticeable is intent. Early childhood teachers receive instruction on child development, scaffolding the acquisition of skills, and the importance of family engagement in the learning process. Although there are exceptions, libraries seem to be using information regarding how and what children learn, and integrating it into programming, at a slower pace. Education is taking place, whether intentional or not. The intentional use of the early childhood knowledge base may be a result of expected outcomes or organizational goals. For teachers, this is clear. For librarians understanding their scope of societal contribution may take re-envisioning what is possible beyond the love of reading and expanding thoughts on the value in what is being offered to the public. In some ways libraries have an advantage-family members are often in attendance at programming involving children in the early years. Leveraging this attendance and understanding what’s possible are important determinants of the quality of programming during the early childhood years. There is value in reaching children and families through public library programming-the library profession, and those in youth services, will determine whether this value is embraced and expanded.